Yesterday I told you that I focus on a word each year. This year the word is going to be ENERGY. I picked this word because I need to focus on having more of it AND if I am going to have more of it then it needs to be good or positive. This is the first quote that I am focusing on in 2015. There is so much negative energy going around that the world is in great need for good energy. That is what I plan to do. Like I stated in yesterday's post, I am focusing on acting like I have more energy. Being positive plays a HUGE part into this. So do you want to do it with me? 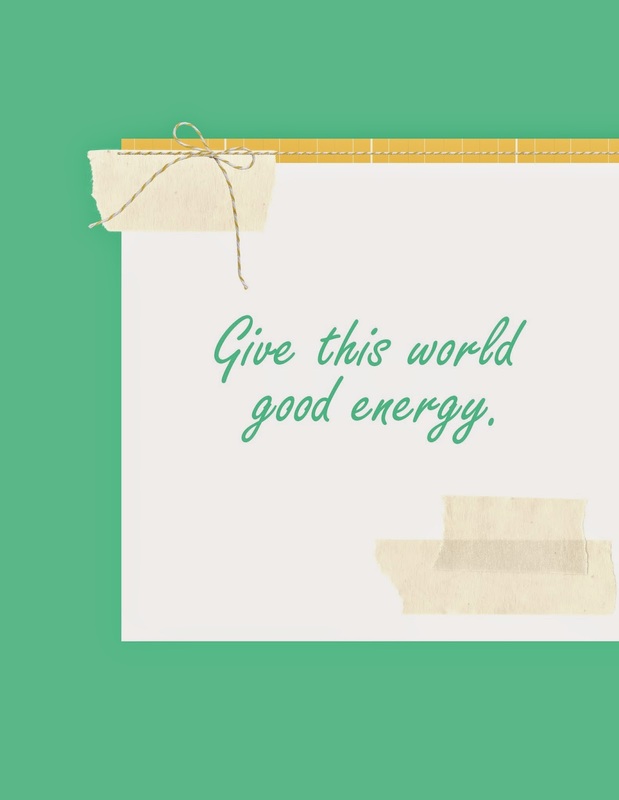 Do you want to pump this world with good energy? Please say yes. Maybe we will be able to feel each other's good energy and it will help each of us! Click on the picture above to get a copy of this printable so you can display it in your home. Reminders are always a good thing.